I didn’t fully understand the purpose of bathing suits that can’t get wet, until I started making jewelry. 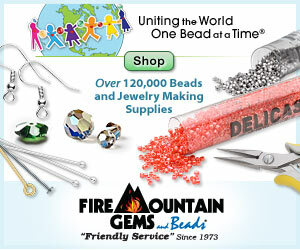 Fashion doesn’t have boundaries - it goes everywhere, and so does jewelry. And just because you’re wearing a fabulous bathing suit, doesn’t mean you plan to go swimming. Maybe all you want to do is get a great tan. In any case, if your swimwear is just for looks, then there’s no reason not to accessorize it. 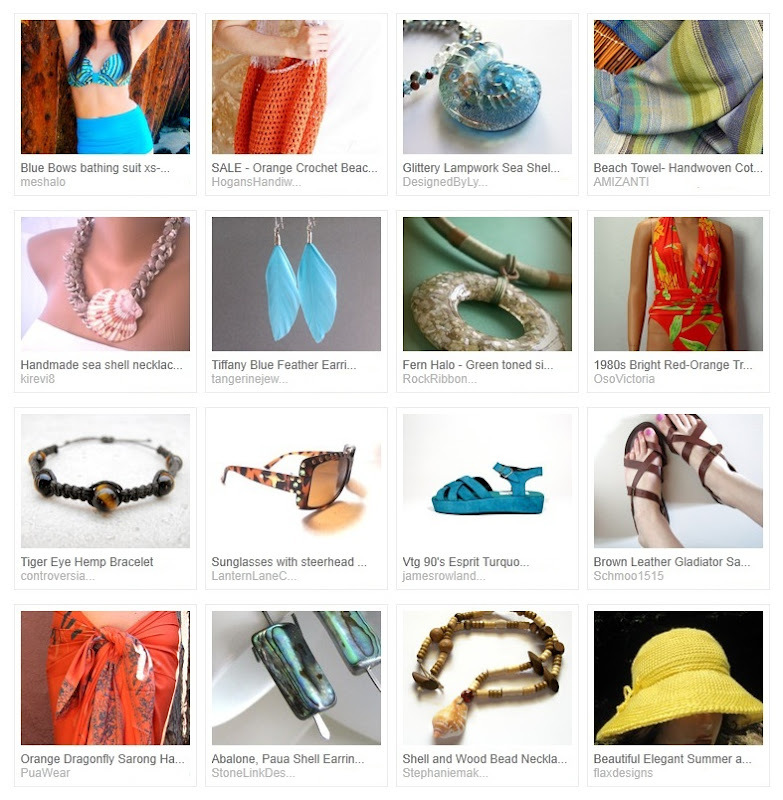 Today, I wanted to look at some fun ways to pair jewelry with bathing suits, for hot summer days on the patio. I started with a statement piece that is a vacation essential - a shell necklace. The one I picked looks wonderfully tropical with shell donuts and strands of tiny wood beads. I tried to create two unique looks for different tastes. One is a little more conservative and a little tribal inspired. The other is a bit daring and a lot more uptown. The palette of orange and aqua, with hints of warm brown and yellow is great for the pool, the beach, or the backyard. For the handmade and vintage alternatives, I decided to take a look around Etsy this month. The selection of bathing suits is much broader, and I was able to find two that fit perfectly with the theme. It was hard to choose just a few necklaces, and I couldn’t resist adding the aqua lampwork nautilus. What’s your favorite bathing suit style? Have you ever worn your jewelry to the beach? Great fashion theme for summer!